The Feel-good book! You Are a Quest is a stunning visual poem where you’re invited (and challenged) on a journey to explore, create, love, and shine. This voyage is made of mysterious geometrical shapes and Zen-like aphorisms that feel like the voice of an old friend. 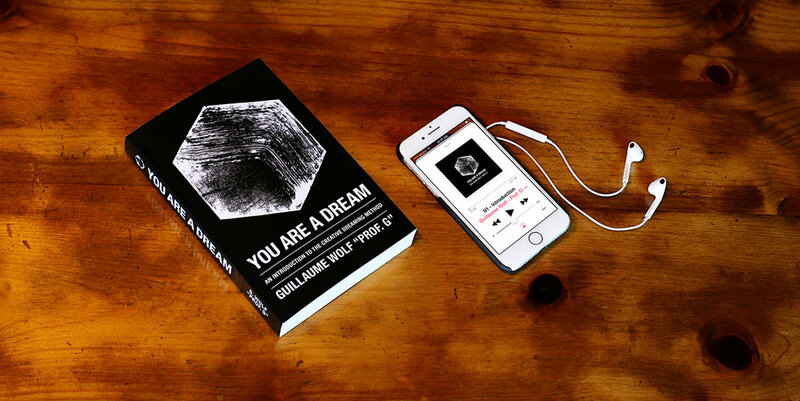 The follow-up to You Are a Circle, You Are a Message, and You Are a Dream, You Are a Quest is the fourth volume in Prof. G’s beloved “You Are” book series for the new creatives. Designed as a workshop, You Are a Dream is the book for creatives asking: “How do you make your dreams come true?” In order to find a meaningful answer, You Are a Dream challenges you to go beyond your comfort zone by bringing full awareness to your creative work and your life. Get the audiobook version, free, when your order the book (click on the button below for details). You Are a Circle and You Are a Message are an indie phenomenon. These two cool classics have become a part of the lives of many creatives (including top artists) coming from different backgrounds. Why? Maybe because these books are a labor of love that feels really unique. Mixing inspiring quotes and art, these timeless books will inspire you for years to come.